Federal Trademark Registration in the United States Patent and Trademark Office (USPTO) provides many brand protection benefits to e-commerce startups and small businesses selling goods on Amazon.com, sometimes this protection requires the involvement of an E-Commerce trademark attorney or other intellectual law firm or lawyer. Under the new Amazon Brand Registry process E-Commerce Trademark Attorneys of e-commerce startups are even more involved, sometimes contacted directly by Amazon to verify the owner of a brand that is a registered trademark on the United States Patent and Trademark Office (USPTO) Database of federal trademarks. Below is an explanation of traditional legal benefits of federal trademark registration, and how with the consultation of an E-Commerce trademark attorney, federal trademark application filing and registration in the USPTO for E-commerce companies selling on Amazon now provides additional benefits that streamlines their Amazon stores performance, listings in search results, and infringement enforcement options against counterfeits on Amazon.com. 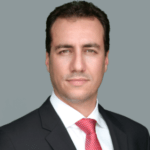 provides significant legal advantages to brand owners, whether an e-commerce tech startup venture or other company, however, companies should consult their e-commerce and trademark attorneys before relying on common law rights. Amazon’s reliance on the federal trademark registration process in the USPTO is wise because the USPTO is well designed to review trademark applications of E-commerce companies for trademark validity, conflict, likelihood of confusion and other requirements of trademark protection, before issuing a federal registration on a trademark application. Since a brand dispute or trademark infringement allegation on Amazon.com will be based on underlying trademarks rights, using the Federal Trademark Registration process makes sense and E-Commerce and Trademark Attorney can help analyze issues, options, and methods of enforcement for trademark infringement and brand disputes. Some common law trademark owners who have not yet obtained, or otherwise disqualified from federal trademark registration may suffer from this new program. However, overall, Amazon.com’s reliance on the most advanced and sophisticated trademark protection registry in the world, the United States Patent and Trademark Office (USPTO) Database, is a step in the right direction to provide a fair forum for brand owners to claim their trademark rights on Amazon.com, and enforce their exclusive federal trademark rights against counterfeits and infringers, whether on Amazon, Overstock, Alibaba, Shopify, or any other e-commerce forum in the United States. This step has increased the value of trademark registration for E-Commerce startups on Amazon tremendously. The appeal of a brand registry is self-evident to Amazon Sellers, it gives trademark owners additional legal benefits that heighten the inherent value of registering trademarks through the USPTO, by using the Registration to prove validity to Amazon, and letting Amazon then take enforcement action against trademark infringers and counterfeit products or online stores. With the assistance of an experienced e-commerce and trademark attorney, the process is facilitated with a higher degree of authenticity. Once an application for a federal trademark is filed and matures to registration, or if a federally registered trademark has already been obtained and registration has been issued by the USPTO, the designated e-commerce trademark attorney of record is sent a secret verification passcode from Amazon.com. 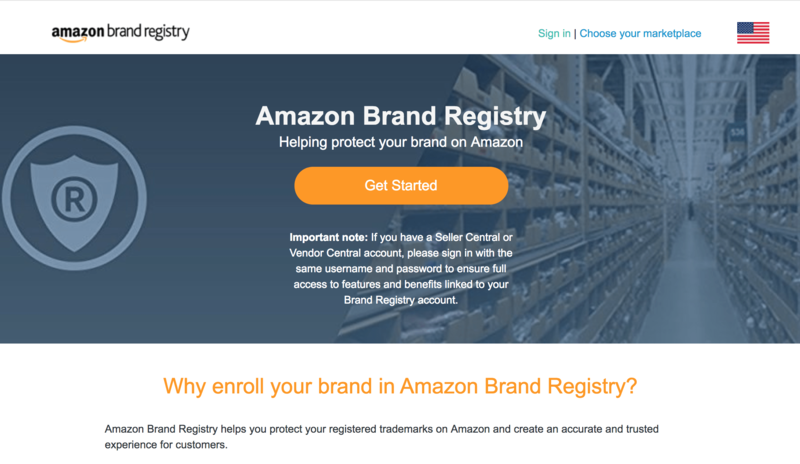 The trademark attorney of record then provides the passcode to the trademark owner of the e-commerce company who is the Amazon Seller and e-commerce provider, the seller will then complete the final step of the Amazon Brand Registry enrollment. 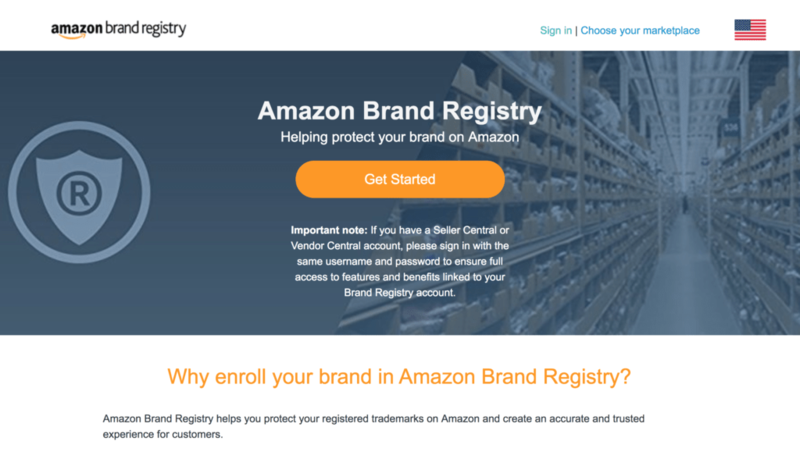 As a result, Entrepreneurs and technology startups who have an e-commerce on Amazon.com can now reap additional benefits from their federal trademark registration by working with an expert e-commerce and trademark attorney and enrolling the federally registered trademark in the Amazon Brand Registry. Disclaimer: The content above is a discussion of legal issues and general information; it does not constitute legal advice and should not be used as such without seeking professional legal counsel. Reading the content above does not create an attorney-client relationship. All trademarks are the property of L.A. Tech & Media Law Firm or their respective owners. Copyright 2015. All rights reserved.